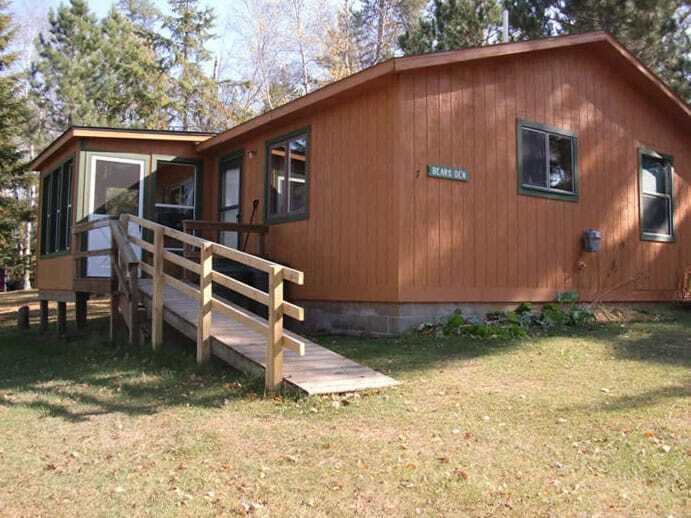 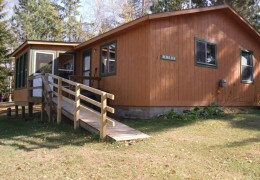 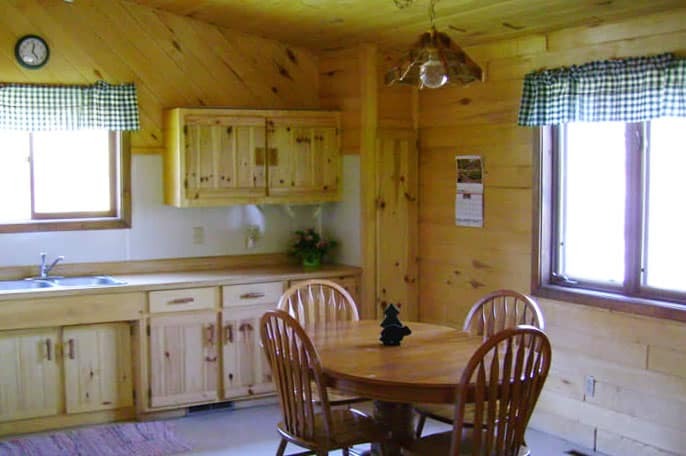 This large two-bedroom cabin is our newest and also sits on the water. 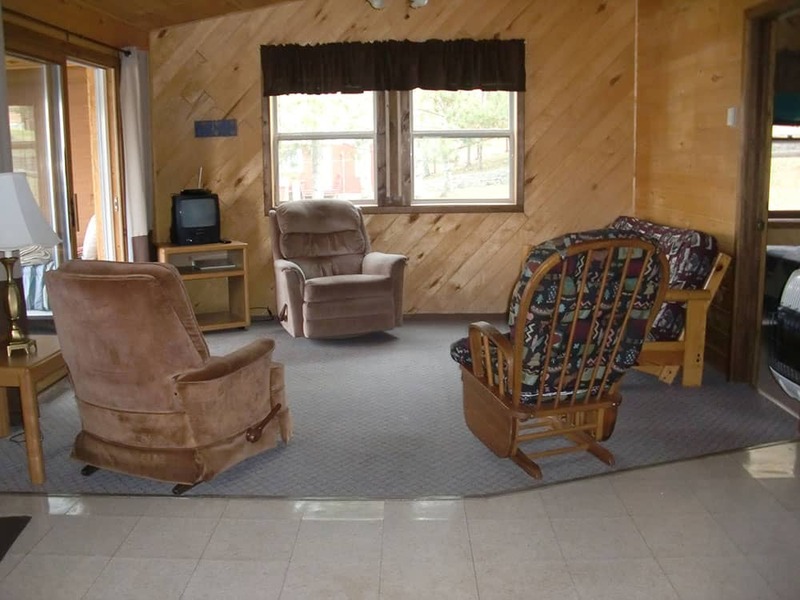 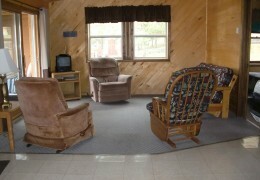 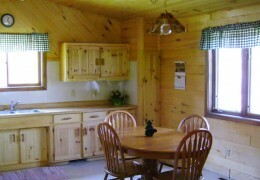 It is spacious with a beautiful wood interior, vaulted ceilings and a lovely three-season porch overlooking the lake. 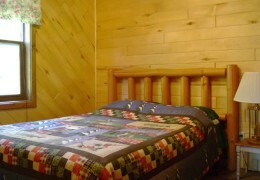 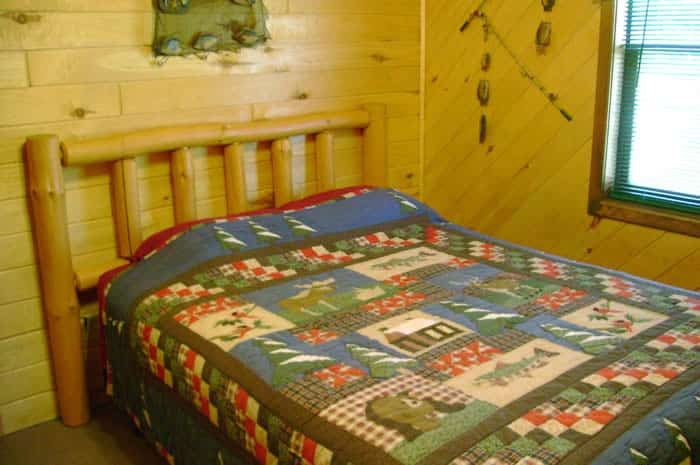 This cabin also features a large, full bath with tub and shower and VCR. 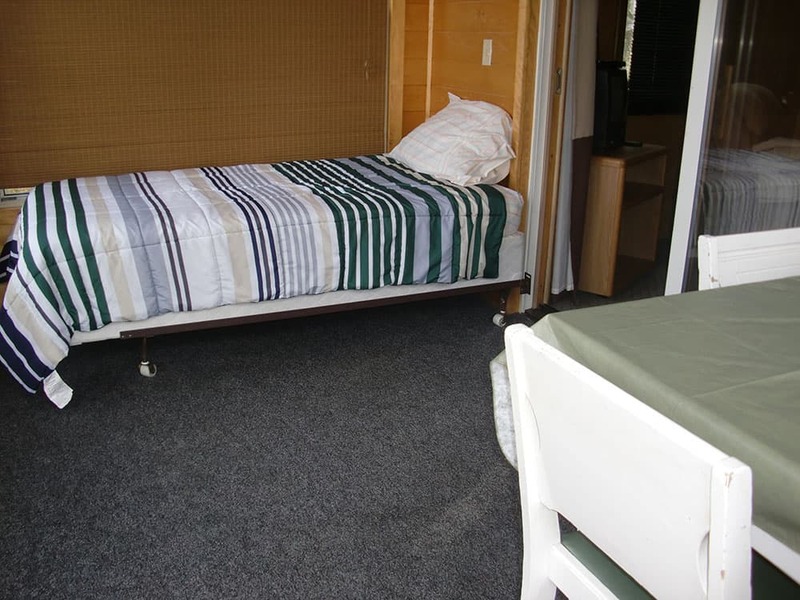 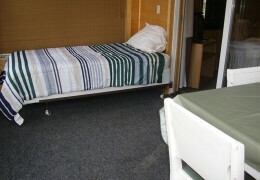 It has two queen beds and futon in the living room and day bed in porch.